The world appears to be globalising economically, technologically and even, to a halting extent, politically. This process of globalisation raises the possibility of an international legal framework, a possibility which has gained pressing relevance in the wake of the recent global economic crisis. But for any international legal framework to exist, normative agreement between countries, with very different political, economic, cultural and legal traditions, becomes necessary. This work explores the possibility of such a normative agreement through the prism of national constitutional norms. Since 1945, more than a hundred countries have adopted constitutional texts which incorporate, at least in part, a Bill of Rights. These texts reveal significant similarities; the Canadian Charter of Rights and Freedoms, for instance, had a marked influence on the drafting of the Bill of Rights for South Africa, New Zealand and Hong Kong as well as the Basic Law of Israel. Similarly, the drafts of Eastern European constitutions reflect significant borrowing from older texts. 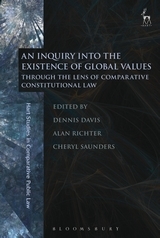 The essays in this book examine the depth of these similarities; in particular the extent to which textual borrowings point to the development of foundational values in these different national legal systems and the extent of the similarities or differences between these values and the priorities accorded to them. 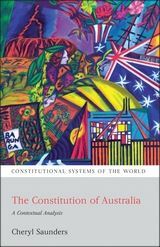 From these national studies the work analyses the rise of constitutionalism since the Second World War, and charts the possibility of a consensus on values which might plausibly underpin an effective and legitimate international legal order. Dennis Davis is a Judge of the High Court of South Africa and Judge President of the Competition Appeal Court. Alan Richter is Founder and President of QED Consulting in New York. He advises on values, culture, leadership and change. Cheryl Saunders is a Laureate Professor at the University of Melbourne, Australia.